Cllr. 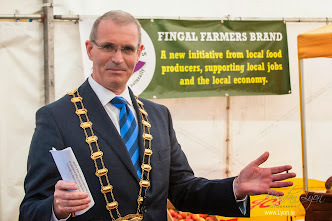 Kieran Dennison: Fingal County Council is Local Authority of the Year. Fingal County Council is Local Authority of the Year. Fingal County Council has been named as the Local Authority of the Year at the 2016 Excellence in Local Government Awards which is organised annually by Chambers Ireland. 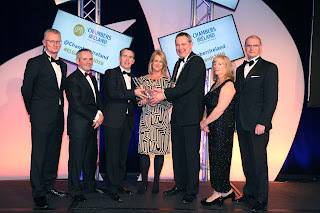 It is the second time in seven years that Fingal has won the Overall Award which is given to the local authority that best exemplifies the hard work, innovation and enthusiasm that goes into the delivery of Local Government services. Fingal County Council also won the Heritage and Built Environment Award for the Digging History Project at Swords Castle. Ian Talbot CEO Chambers Ireland; Paul Reid, Chief Executive Fingal County Council; Minister for Housing and Urban Renewal Damien English TD;Niamh Boyle President Chambers Ireland; Mayor of Fingal, Cllr. Darragh Butler; Cllr. Anne Devitt FCC; Cllr. Kieran Dennison. Fingal was short-listed in nine of the 16 categories at the national awards and captured the Heritage and Built Environment Award for the Swords Castle Digging History Project which has taken place for the last two years. Swords Castle: Digging History is Fingal County Council’s first Community Archaeology project. It provides people from communities across the County with a unique opportunity to take part in a real archaeological excavation. The project is now in its second year, and under the supervision of Gerry Clabby, Heritage Officer and Christine Baker, Community Archaeologist, allows volunteers to work with a small team of professional archaeologists. The Excellence in Local Government Awards showcase best practice in local government and recognise the skills, hard work, innovation and enthusiasm within local government that can often go unrecognised. They highlight the sector’s commitment to the best possible public service standards for businesses and citizens across the country. Each nomination demonstrates the hard work, innovation and enthusiasm that go into delivery of these projects.